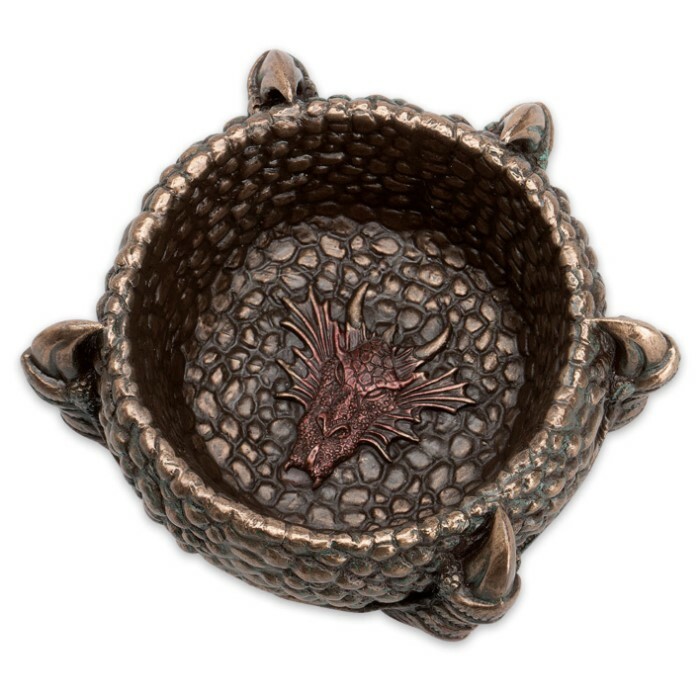 This unique and elegantly detailed decorative box is beyond compare. The craftsmanship of this masterpiece cast in resin is jaw-dropping. 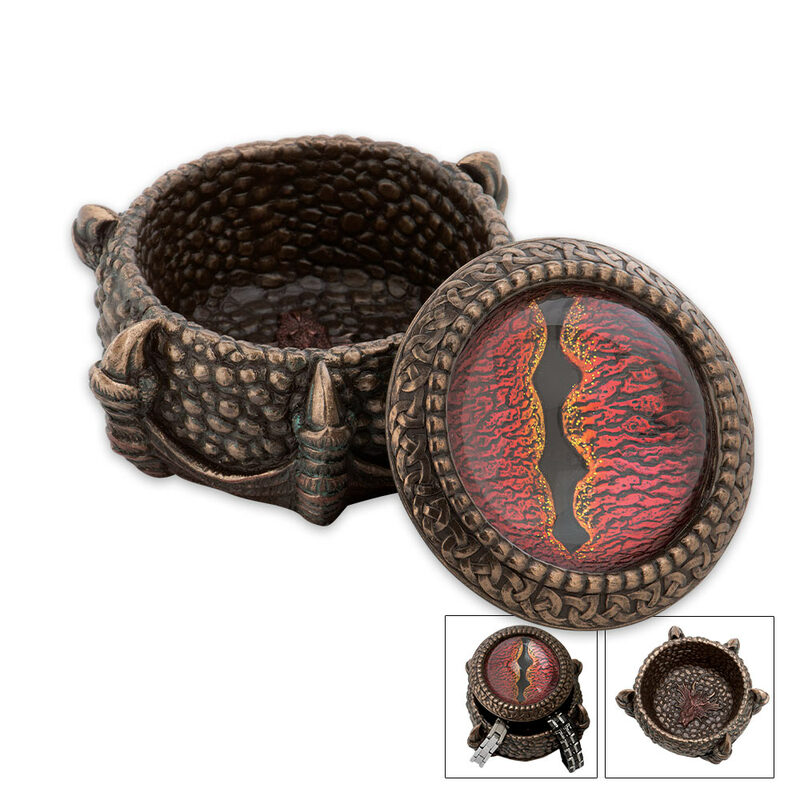 Shaped to resemble a dragon's claw, it looks like it is actually cast from metal. The only way you would know the difference would be to pick it up. 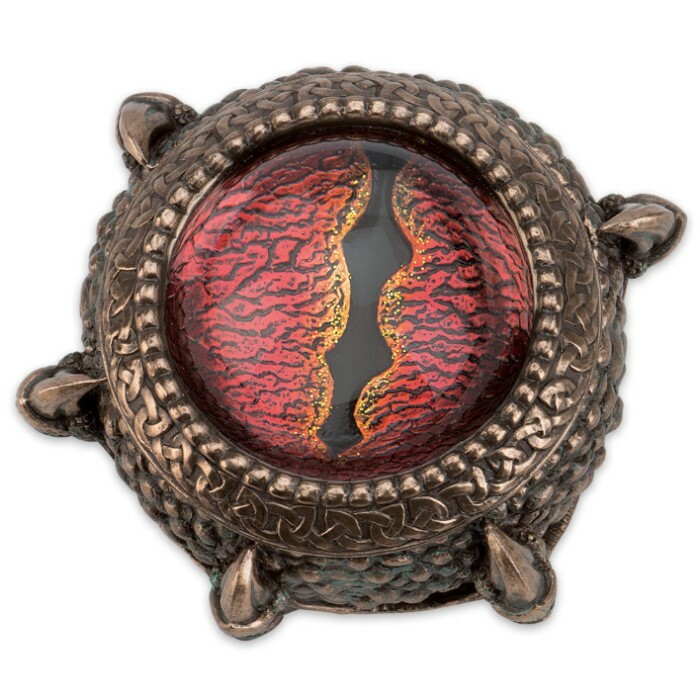 It also features a raised glass orb embedded in the lid with a red dragon's eye leering out at you.